"Microsoft PowerPoint Template and Background with musical the creative lighting"
"Microsoft PowerPoint Template and Background with musical notes abstract background"
"Microsoft PowerPoint Template and Background with Computer Generated Image - Having Fun "
We are proud to present our 0514 graphic of drum for music theme image graphics for powerpoint. 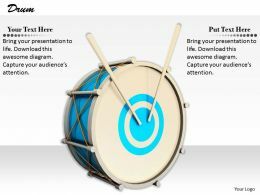 This business power point template is designed with 3d graphic of drum. 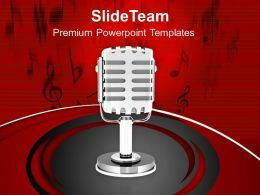 Use this template to show music related concept in any business presentation. 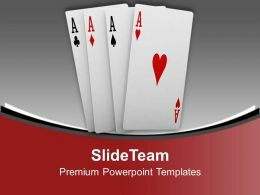 "Microsoft PowerPoint Template and Background with valentine music theme"
Computer Generated Image - Music People . 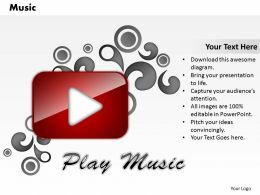 "Microsoft PowerPoint Template and Background with Music background with the notes and the flowers. vector illustration"
"Microsoft PowerPoint Template and Background withConcept & Presentation Figure"
"Microsoft PowerPoint Template and Background with guitar and loudspeakers rendering 3d illustration"
"Microsoft PowerPoint Template and Background with dj music vector composition"
"Microsoft PowerPoint Template and Background with colorful musical clefs"
"Microsoft PowerPoint Template and Background with music strings with clipping path"
"Microsoft PowerPoint Template and Background with stylish design of music notes"
"Microsoft PowerPoint Template and Background with learning concept and music notes"
"Microsoft PowerPoint Template and Background with child listening to music or audio books"
"Microsoft PowerPoint Template and Background with colorful rainbow abstract music background for discoflyers"
"Microsoft PowerPoint Template and Background with 3d gold music symbol & music sheet"
"Microsoft PowerPoint Template and Background with online music concept"
"Microsoft PowerPoint Template and Background with christmas music event"
"Microsoft PowerPoint Template and Background with cute music notes on pink background"
"Microsoft PowerPoint Template and Background with I Love Music text and notes"
"Microsoft PowerPoint Template and Background with colorful composition of music notes at rainbow"
"Microsoft PowerPoint Template and Background with computer mouse connected to the word music via waveform cable"
"Microsoft PowerPoint Template and Background with speakers"
"Microsoft PowerPoint Template and Background with a group of dancers in silhouette"
"Microsoft PowerPoint Template and Background with a cool girl looking at a party in a nightclub through sunglasses"
"Microsoft PowerPoint Template and Background with beautiful woman in elegant dress listening to music"
"Microsoft PowerPoint Template and Background with five elves playing their music instruments at christmas"
"Microsoft PowerPoint Template and Background with people icons with a purple musical note"
"Microsoft PowerPoint Template and Background with an indian classical singer with the string instrument called Tanpura"
"Microsoft PowerPoint Template and Background with trumpet on sheetmusic"
"Microsoft PowerPoint Template and Background with holding a key note"
"Microsoft PowerPoint Template and Background with speakers on star burst background"
"Microsoft PowerPoint Template and Background with vector illustration with dancers on rainbow background with wave"
"Microsoft PowerPoint Template and Background with music notes"
"Microsoft PowerPoint Template and Background with musical notes"
"Microsoft PowerPoint Template and Background with a smile listening to the music"
"Microsoft PowerPoint Template and Background with a globe with translucent musical notes orbiting around it"
"Microsoft PowerPoint Template and Background with musical note sitting inside of a locked glass"
"Microsoft PowerPoint Template and Background with christmas greeting card "
"Microsoft PowerPoint Template and Background with silhouettes of females dancing"
"Microsoft PowerPoint Template and Background with bass notes"
"Microsoft PowerPoint Template and Background with conceptual orchestra"
"Microsoft PowerPoint Template and Background with baby lying on floor and playing synthesizer"
"Microsoft PowerPoint Template and Background with a pair of headphones on a globe of the world"
"Microsoft PowerPoint Template and Background with dj at work on the disco party"
"Microsoft PowerPoint Template and Background with teenage girl jumping whilst playing an electric guitar"
"Microsoft PowerPoint Template and Background with christmas gift music"
"Microsoft PowerPoint Template and Background with young child playing an acoustic guitar"
"Microsoft PowerPoint Template and Background with woman jumping with a guitar"
"Microsoft PowerPoint Template and Background with flying speaker with globe and rainbow background"
"Microsoft PowerPoint Template and Background with modern ballet dancer"
"Microsoft PowerPoint Template and Background with a group of dancers in silhouette on a stage"
"Microsoft PowerPoint Template and Background with christmas tree with trumpet and music ornaments"
"Microsoft PowerPoint Template and Background with a support service of global music"
"Microsoft PowerPoint Template and Background with a rock concert at a large arena"
"Microsoft PowerPoint Template and Background with photo of the smiling face with the headphones"
"Microsoft PowerPoint Template and Background with magic books and notes"
"Microsoft PowerPoint Template and Background with men with guitar and loudspeaker"
"Microsoft PowerPoint Template and Background with dancing girl excellent and proper for the disco flyers"
"Microsoft PowerPoint Template and Background with three cool party girls"
"Microsoft PowerPoint Template and Background with a globe with head phone"
"Microsoft PowerPoint Template and Background with chidren with musical instruments with clipping path"
"Microsoft PowerPoint Template and Background with colorful musical world stage with speaker piano"
"Microsoft PowerPoint Template and Background with christmas tree with santa claus sitting on present in front of guitar"